For the first time since last June, the average monthly temperature in Greater Moncton in January was not above normal but simply normal. Generally speaking, overnight lows were very cold especially during the beginning and latter parts of the month when the thermometer dipped close to -20°C or lower. Temperatures were below freezing for nine straight days during a prolonged cold snap from 21-29 January with well-above normal temperatures during the last two days helping to boost the monthly average. Precipitation was well-below normal with only a quarter of the average rainfall and a little more than one-third the average snowfall for the month. 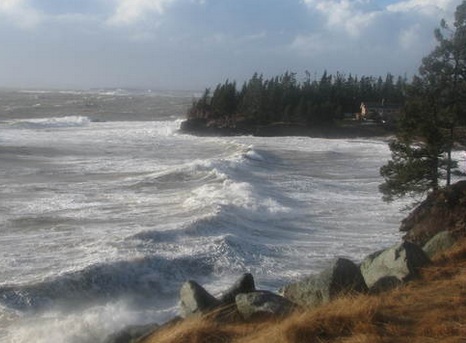 A low pressure system that moved into New Brunswick not only brought lots of rain and strong winds but also record high temperatures across the province. Yesterday, at least 10 new record highs were set including 11.8°C at Greater Moncton Airport, 11.2°C in Bouctouche and 11.1°C in Alma. The previous record in Moncton was 8.3°C from 2008. Nine communities have also broken record highs today including Moncton at 14.1°C and Kouchibouguac at 13.5°C. The hotspot in Canada today is Cheticamp, Nova Scotia at 16.7°C. After almost ten days of below freezing temperatures, the thermometer finally climbed above zero today in Southeast New Brunswick. 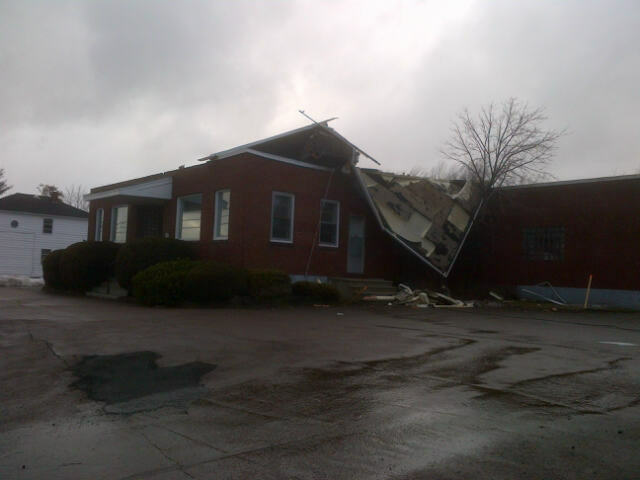 But the warmth came with a low pressure system which at first brought freezing rain and then rain. 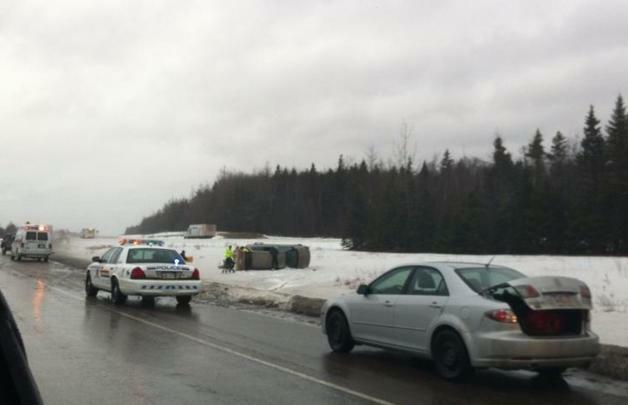 Schools were cancelled in Greater Moncton today and a slew of car accidents were reported during the changeover. A wind warning is in effect for the region tonight with gusts up to 90 km/h and possibly up to 110 km/h in the Tantramar Marsh. Greater Moncton woke up this morning to the coldest temperature so far this winter at -23.2 C and a wind chill that peaked at -37! However, it was still a few degrees away from the record of -28.3 C set in 1961. Environment Canada is still forecasting overnight lows of around -20 C for the next few days. 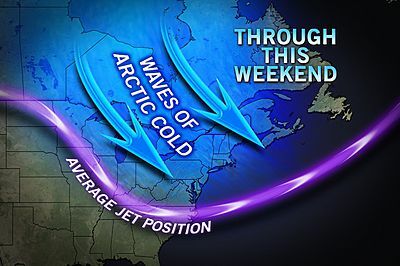 The cold snap is not expected to break until early next week. Environment Canada says very cold Arctic air combined with northwesterly winds will produce wind chill values of -35 to -38 tonight and Thursday in Greater Moncton and Southeast New Brunswick. The actual temperature dropped to -20.9 C this morning. The coldest spot in New Brunswick was Edmundston at -34.2 C which is slightly warmer than yesterday’s low of -35.7 C.
Much of Canada – the exception being the West Coast – fell into a deep freeze this week with the coldest weather yet this winter. The coldest of the Arctic blast was over Central Canada where temperatures plummeted to -45.1 C this morning in Armstrong, Ontario and -46.3 C in Lac Benoit, Quebec. In Greater Moncton, the temperature is expected to drop to -22 C by tomorrow morning and a bitter wind chill of -34 by evening. Forecasters say the cold snap could last a couple weeks with a slight warm up expected this weekend. 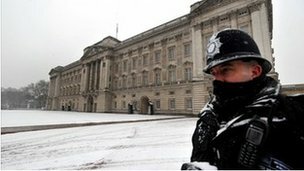 Snow fell in southern England and Wales yesterday cancelling flights out of Heathrow and Gatwick airports, disrupting trains and causing delays for motorists. According to the UK Met Office, temperatures are expected to be near or just below freezing throughout the weekend which means the snow will likely stick around for a while. 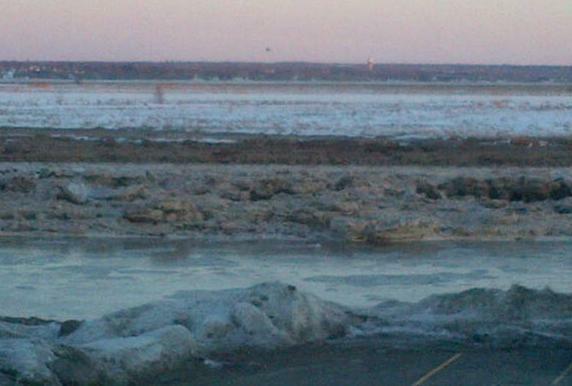 Higher elevations could see as much as 30 cm of snow while London was expecting about 10 cm. Snow also fell in northern France with Paris also picking up as much as 10 cm. 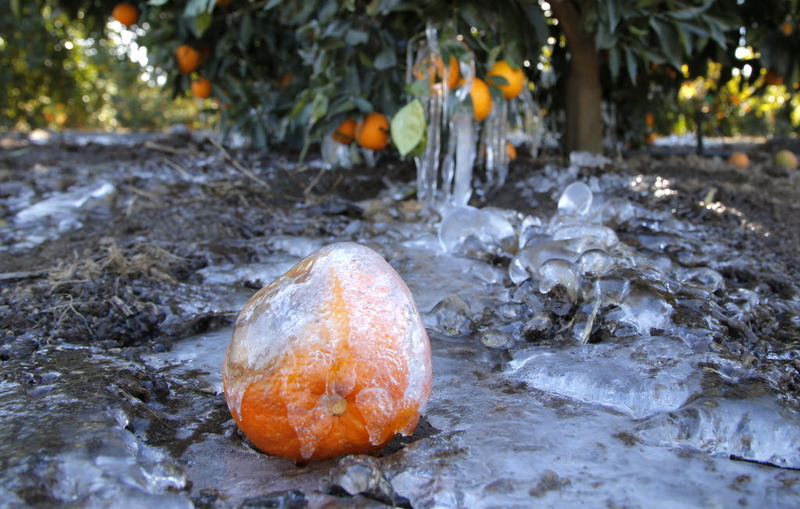 The cold spell in California may be coming to an end but citrus growers say crops in the state have been damaged by temperatures that have dipped to as a low as -5 C during the past few nights. The mandarin orange crop has been especially hard hit. Even the major cities have been unusually cold with downtown Los Angeles dropping to near freezing on Monday morning setting a new record. Farmers in neighbouring Arizona are also reporting losses especially to lettuce crops and prices are predicted to soar as a result. 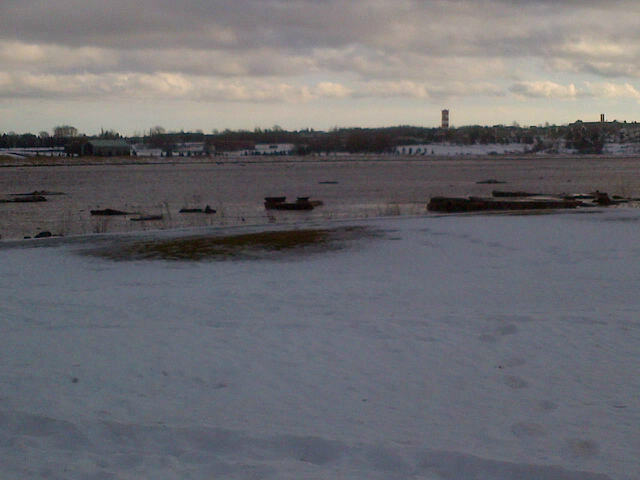 It felt more like spring than mid-winter in New Brunswick yesterday. Environment Canada says Bathurst was actually the hotspot in the country on Monday with a high of 13.5 C beating its previous record by less than half a degree. Moncton hit 10.6 C, although mild was not even close to the old record of 15.7 C from 2005. It was also warm in Fredericton at 11.7 C and Saint John reached a high of 8.2 C.
Snow snarled traffic, created train delays and caused dozens of flights to be cancelled in Tokyo yesterday. The first snowfall of the winter dropped about 8 cm of snow on the Japanese capital which stranded thousands of travellers at Narita International Airport. 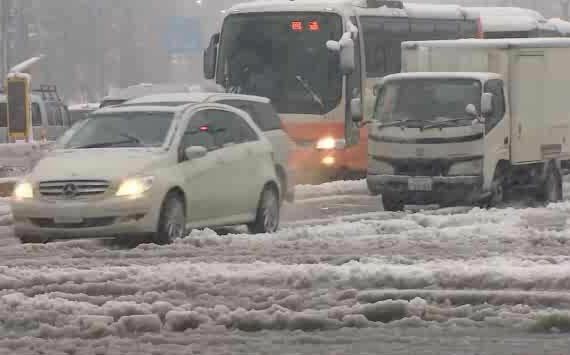 Flights resumed today and trains began running again but many highways around Tokyo remained clogged with snow and ice.